The Sunday in the Park Concours was held September 1st, 2013 on the grounds of Lime Rock Park in Lakeville, Connecticut. 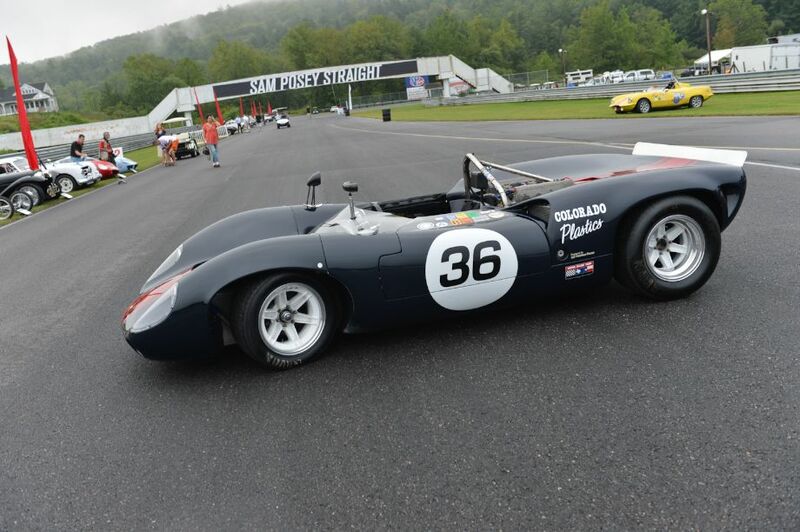 Local ordinance laws prevent racing at Lime Rock Park on Sunday, therefore Lime Rock fields the Concours and Gathering of the Marques car show each year on that day as part of the Historic Festival. 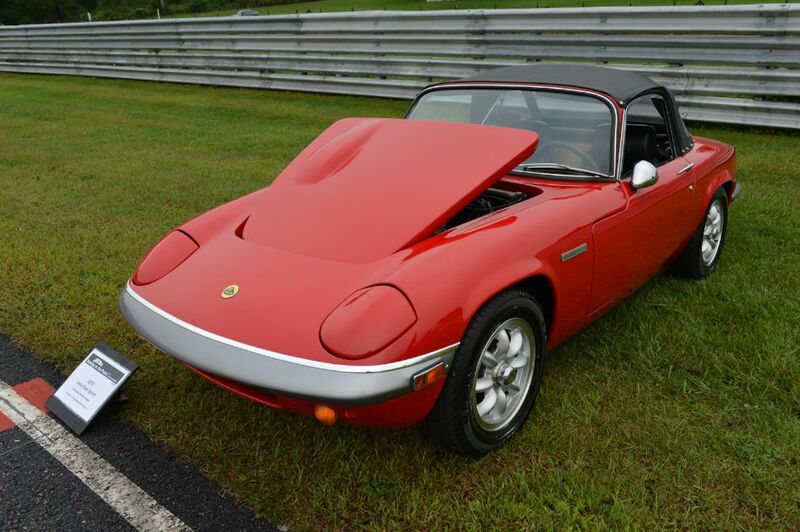 This year’s event, as part of the 2013 Lime Rock Historic Festival, presented more than 600 cars, highlighted by the nearly 250 Concours entrants parked on the front straight. 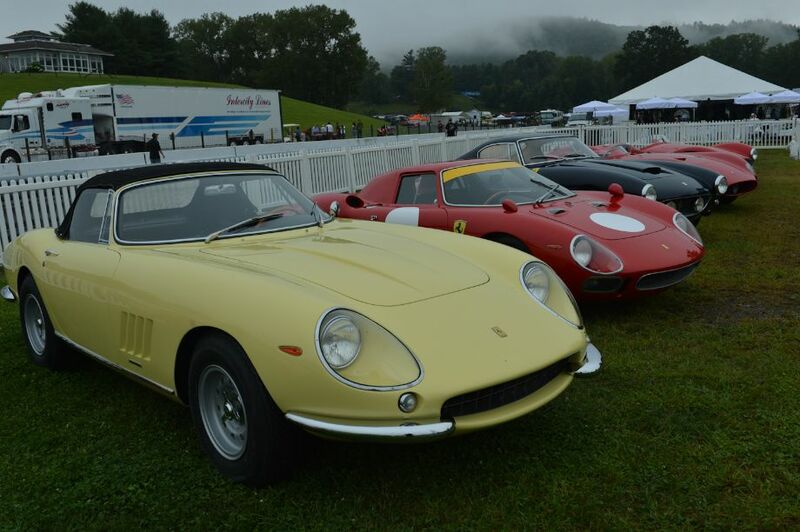 The Car Show and Gathering of the Clubs blanketed the rest of the 1.5 mile circuit. 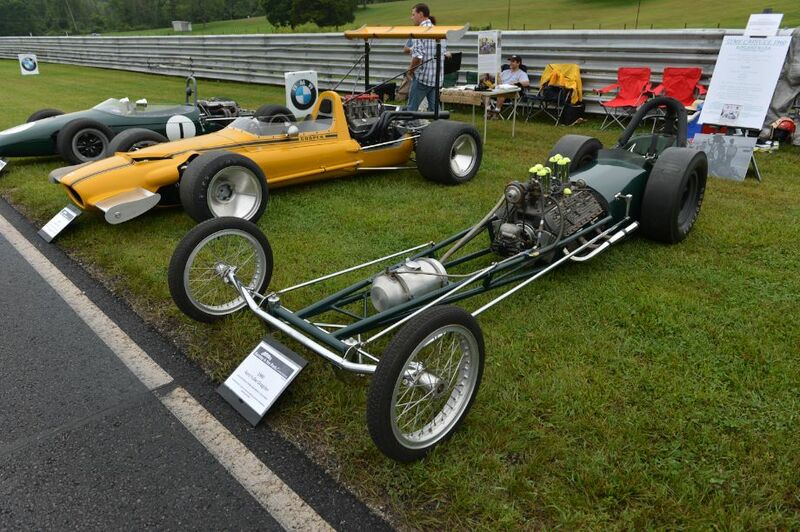 There were 29 classes at the 2013 Lime Rock Historic Festival Sunday in the Park Concours, representing eras and types from Pre-War to significant cars of interest post-1985. 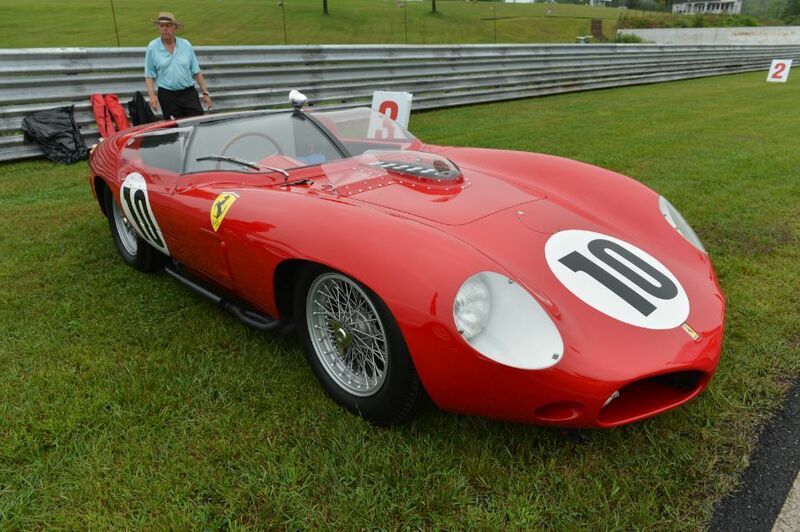 The Best in Show award went to the 1948 Ferrari 166 Spider Corsa, presented by Miles Collier of the Revs Institute. The Corsa crossed the podium driven by noted restorer Paul Russell and was handed the Best of Show trophy and a Frederique Constant Genève Healey watch. 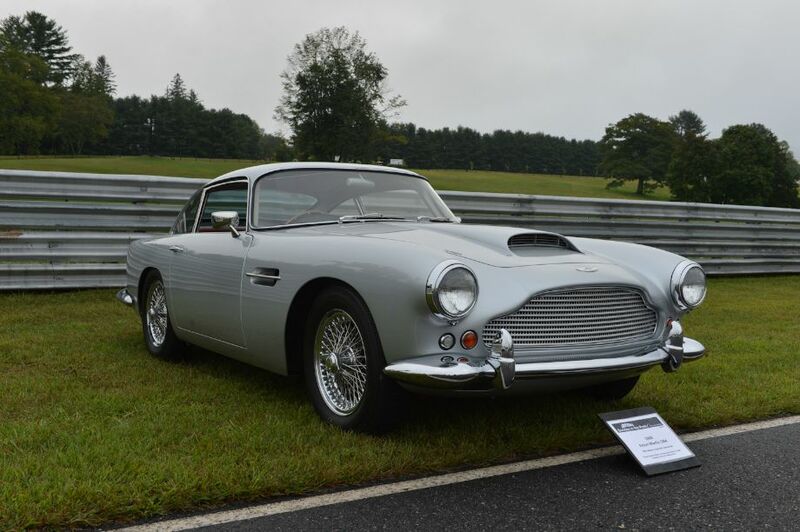 Other notable winners included a 1930 Aston Martin International in the “Risky But Racy – competition machines of merit pre-1945,” presented by Richard and Philip Rader of Briarcliff, N.Y.; a 1967 Shelby-prepped Toyota 2000 GT (Bob Tkacik, Saco, Maine) from the “Speed & Style – GT Cars 1965-1970” category; and a 1964 Ferrari Lusso owned by Roger Werner of Greenwich, Connecticut, winning the “Businessmen’s Express,” GT cars 1960-1965” class. A major highlight of this year’s Sunday in the Park was the presence of nearly half of the street Cunninghams built (25). Eleven C3s (including two cabriolets), plus three race cars, were on the property. Cunningham’s daughter Lucie McKinney and Briggs III were here all weekend, too. It was the largest gathering ever of Cunningham cars in one place at one time. 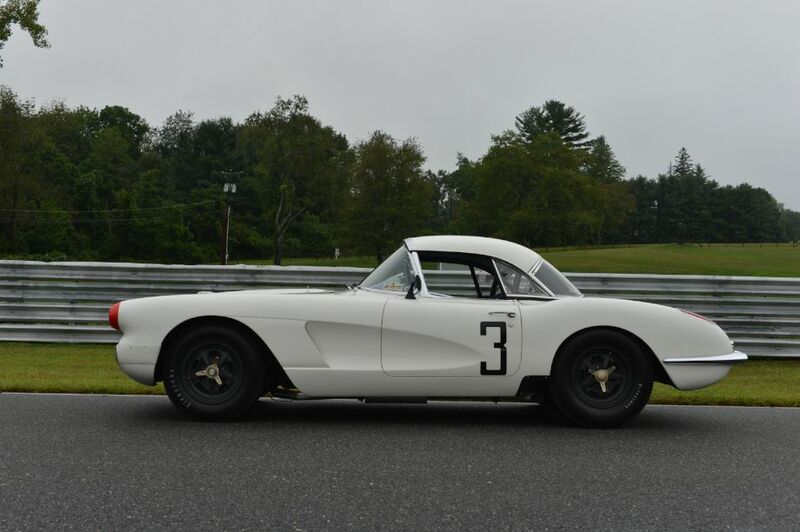 Chuck Schoendorf’s C3 Coupe (s/n 5214) won the “Briggs’ Babies” class, while the C3 Coupe (s/n 5209) owned by Leslie Lockard was the Cunningham chosen by Briggs’ daughter herself – Lucie McKinney – for her special award. Then Lucie was awarded Classic & Sports Car Magazine’s “Editor’s Choice” trophy for her own C3 Coupe (s/n 5223), which she’s owned since new. Another major highlight was the collection of cars brought by Lawrence Auriana. His group of vehicles was so impressive that the organizers presented Auriana with a special trophy recognizing the whole lot. Auriana himself was given the opportunity to choose his favorite entrant to award the “Auriana’s Apple” award: he chose the 1951 Cisitalia 202 SC owned by Andrew Benenson of Darien, Connecticut. Lawrence Auriana’s cars at Historic Festival 31 and Sunday in the Park Concours included a 1928 Maserati Tipo 26; 1933 Alfa Romeo 8C 2300 Monza; 1950 Ferrari 166 MM Touring Barchetta; 1953 Maserati A6GCS; 1953 Alfa Romeo 3000 CM; 1960 Ferrari 250 GT SWB Berlinetta Competition; 1965 Ferrari 250 LM; 1967 Ferrari 275 GTS/4 NART Spider; 1972 Alfa Romeo TT 33; 1972 Ferrari 512 M; 1972 Ducati 750 SS Imola; 1978 Ducati 90 TT (ex-Mike Hailwood TT winner); 1953 Fiat Transporter in Maserati Team livery and 1966 Alfa Romeo Factory Service Van. Additionally, the Vintage and Race Car Parade and Welcome Party kicked the weekend off with bang. The parade of 100 or more cars was green-flagged from Sam Posey Straight Thursday afternoon and ended, 17 miles later, at the green in the center of Falls Village, Connecticut, a couple miles from Lime Rock Park. The parade cars were displayed for all to enjoy while a street fair of food, music and games for the whole family carried on. 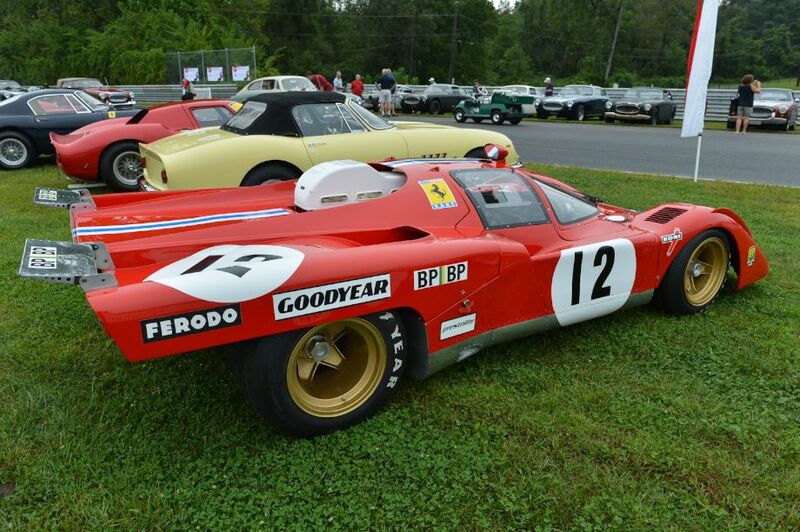 Similar to the 2010, 2011 and 2012 Concours coverage (and the on-track action at the 2013 Lime Rock Historics), photographer Michael DiPleco also documented this year’s Sunday in the Park Concours, offering the following images that highlight the strong field of cars that took part in the annual event. We split up Michael’s 200 pictures into two galleries. The first gallery starting below features our favorite images, all displayed in the full-width view of Sports Car Digest, while the second gallery (and award winners) can be found on the last page of the article and gives a comprehensive view of all the photographs. 1967 Ferrari 275 GTB/4S NART Spyder. Hello – photo #191 is actually a 1974 BMW 3.0CS Alpina owned by Duane Sword (myself) in the class “Speed & Style Redux,” GT cars 1970 to 1985, marvellous, mile-eating monsters. Thank you. Duane Sword. Thanks for the correction Duane. We’ve updated the image. And congrats on the class win for your great-looking CS! What hallowed ground. Got the shivers just reading this. (I am a long way from here, in Australia). And how about “a 1967 Shelby-prepped Toyota 2000 GT (Bob Tkacik, Saco, Maine) from the “Speed & Style – GT Cars 1965-1970” category” Amazing, never knew Carrol Shelby tuned a Toyota 2000 GT. Love to see this vehicle featured some time.